We GROW in search of wisdom, CARE in support of community and ACT in service of justice. RISC – One Night for Justice! RISC succeeds because of organized people that work in solidarity with over 20 other faith communities. At the ACTION we ask for clear commitments from local decision makers to enact fair policies. May 2 at Good Shepherd Baptist Church, 1127 N. 28th Street in Richmond. Doors open at 6:15. Choir and childcare start at 6:30. Assembly starts promptly at 7:00 and will be over before 8:30. To get your free pass go to: RISCaction2019.eventbrite.com. See the exciting ACTION video – click here. A RISC 90 Second Story is the “elevator speech” about RISC’s work on a specific research issue. Our first two stories were about education. First was the Reading to Grade level efforts with Richmond Public Schools; the second with Chesterfield Public Schools to support Child Trauma training. 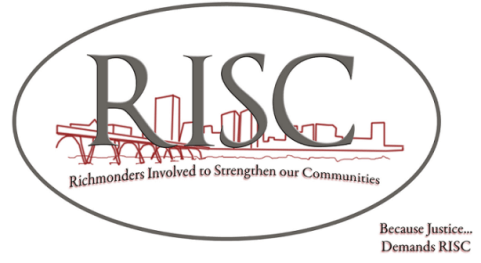 This week the 90 Second Story is about what RISC is doing on the Eviction crisis in Richmond. Introduction: Through RISC, we address serious problems in our community and overcome our region’s historic divisions by joining with 21 diverse faith communities. The Problem: The city of Richmond has the second highest eviction rate in the nation! 17 households are evicted every day. Over 40,000 of our residents are affected by eviction annually. The major cause of eviction is the inability to pay a month’s rent when some unexpected problem occurs (e.g., related to jobs, health). We know that stable housing is the bedrock for getting jobs and for students to receive a decent education. The Solution: There are two elements to addressing the problem. The long term solution is to increase the stock of affordable housing units. The short term is to provide resources and support for our citizens facing eviction now! The Mayor’s 2019/20 budget addresses both the long term and short term issues by increasing the Affordable Housing Trust Fund to $2.9M and, for the first time, creating an Eviction Diversion Program funded at $485K. The Obstacle: The mayor is funding these programs as part of an increase in property tax – which is not currently getting the support it needs to pass. Our strategy is to support the increase in the trust fund and the creation of the Eviction Diversion Program independent of the source of revenue (the Richmond budget is about $500,000). The Hero: The EDP will support those in jeopardy of being evicted. The citizens that go through the ordeal of eviction are our heroes as we find ways to better support a stable housing environment in Richmond. The Resolution: Our Eviction Research Team will be vigilant meeting with all the City Council members and the mayor. Together, with the power of over 1,000 people, we will once again gather this year to ask for an effective solution to Richmond’s eviction crisis by funding the Affordable Housing Trust Fund and the Eviction Diversion Program that are in the Mayor’s budget. A RISC 90 Second Story is the RISC “elevator speech” about RISC’s efforts on a specific research issue. Last week the 90 Second Story was about the Reading to Grade level efforts with Richmond Public Schools. This week’s 90 Second Story is about the Child Trauma training efforts with Chesterfield Public Schools. Next week the 90 Second Story will be about what RISC is doing on the Eviction crisis in Richmond. Introduction: Through RISC, we address serious problems in our community and overcome our region’s historic divisions by joining with 21 diverse congregations. The Problem: In Chesterfield County Public Schools, our children were suffering from high rates of school suspensions, and impacted by the suicides of 3 students in 2016. The suspensions were highest in students of color and with handicaps. We also saw behavior issues and mental health issues on the rise that may be the result of traumatic experiences. The Solution: School staff and teachers can be trained to recognize child trauma using nationally-recognized program ACE Interface. This program could be provided for free for all Chesterfield schools through the Virginia Dept. of Behavioral Health. The Obstacle: Leaders in Chesterfield schools made a commitment to train 100% of staff members with ACE Interface, but they have not followed through on their commitment. School officials are buying into the myth of scarcity, that they don’t have the resources to efficiently train every staff member. The Hero: We believe that by partnering with well-known organizations in our community that are already providing trauma response training, Chesterfield can take advantage of the abundance of resources in our region and offer an effective, efficient training to every staff member. This will have an immense impact on the well-being and safety of our students and teachers. Our children, who are our heroes, are depending on us to stand together for this solution. Together, with the power of over 1,000 people, we will once again gather this year to ask for an effective response to trauma in our schools. The Resolution: We are following up on Chesterfield Schools’ commitments and requesting details on the current training as well as next steps. We are determined to ensure that teachers get the trauma-informed care training that they need so students feel safe and ready to learn! Conclusion: I’m part of RISC because our children need our commitments to justice…Each of us can help win justice by bringing at least 3 people to the Action on May 2nd, 7pm at Good Shepherd Baptist Church so we can stand together against injustice. A RISC 90 Second Story is the RISC “elevator speech” about RISC’s efforts on a specific research issue. This week the 90 Second Story is about the Reading to Grade level efforts with Richmond Public Schools. Next week’s 90 Second Story will be about the Child Trauma training efforts with Chesterfield Public Schools. The following week the 90 Second Story will be about what RISC is doing on the Eviction crisis in Richmond. The Problem: There are over 10,000 students in Richmond Public Schools who are not reading at grade level. This is 42%! The Solution: Through research and conversations with experts, we identified a program called Reading Mastery with proven success in getting kids to read. The Obstacles: There has been a mindset from school officials that students come to school unprepared to learn, which they do not see as their problem. Another obstacle can be the concern among principals and teachers of implementing a new curriculum. The Hero: Since 2014, RISC has been working to get HCPS and RPS to pilot Reading Mastery in just one school. We believe every child can learn given the appropriate resources and support. Heroes include the RPS students that are now beginning the process of learning to read to grade level. The Resolution: RPS has piloted Reading Mastery in eight schools and seems committed to learning from the experiences of Baltimore and other school systems that have had success with Reading Mastery. Together, with the power of over 1,000 people, on May 2 we will once again gather this year to be sure that the RPS implementation has adequate fidelity and support. Conclusion: I’m part of RISC, because RISC gets things done. RISC demands justice, and we are stronger when we join together to make a difference. Each of us helps win these victories by bringing 3 or more people to the Action on May 2 and showing up at research meetings and events so we can stand together against injustice. That’s why each of our commitments are so important. The Reverend Nicolas Cox, among the first itinerate missionaries, was followed by others; strong men dedicated to the task of spreading the concepts of Unitarianism and Universalism into the South. Rev. Jonathan Whitaker, his son Daniel and Rev. Edward Mitchell were among those leaving established church communities to carry the message of a new liberal religion to the immigrant settlers along the Mid-Atlantic trails. These men were part of a movement that introduced a new understanding to Christian believers. The traveled from isolated homestead, to farm settlement, to village, to city, sharing their message of salvation. They organized tent-meetings, held lectures from wagon-beds and established churches dedicated to beliefs that were not acceptable in the hallowed halls of Christianity. Unitarians, among other denominations, were slower to support itinerate missions into the frontier and often discovered once they did arrive that the Universalists had preceded them. In Richmond the religious leadership, aware that concepts of non-conformity were seeping into small pockets of their assemblages, resisted in every means possible; using their pulpits, the newspapers and pamphlets to impress upon Richmond’s citizens the perils of Deist, Unitarian and Universalist belief. A note of record in Universalist history recognizes Nicholas Cox as one of the early itinerate missionaries that followed the wave of migrations down into the Valley of Virginia and the Carolinas. Unitarians among other denominations were slower to send their missions into the frontier and often discovered once they arrived, that the Universalists had preceded them. These brave dedicated men traveled along the margins of the frontier, often alone: their livelihood depending upon the free-will offerings of food and lodging. Often their radical message of liberal Christianity was rejected, leaving them with no other choice than to move on. 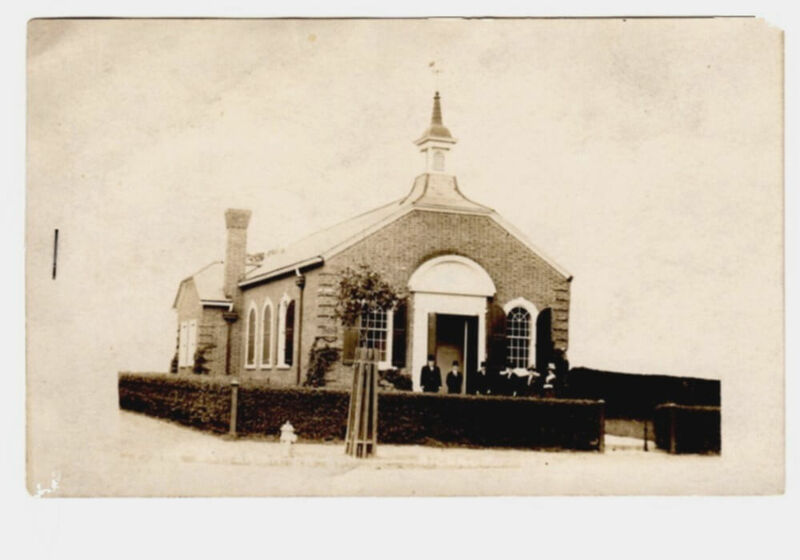 At first the Universalist missionaries went unnoticed by the orthodox leadership until their non-conformist ideas began to surface in small pockets of Richmond society. However, it was the heretical belief that “all souls would eventually be saved from punishment” that spread alarm throughout its Christian establishment. He was the first scientific architect Richmond possessed. He served the City faithfully as as a volunteer soldier in the Corps d’Elite in the war of 1812 and for many years was a member of her Council. He died as he lived respected and beloved by all who knew him. Rev. 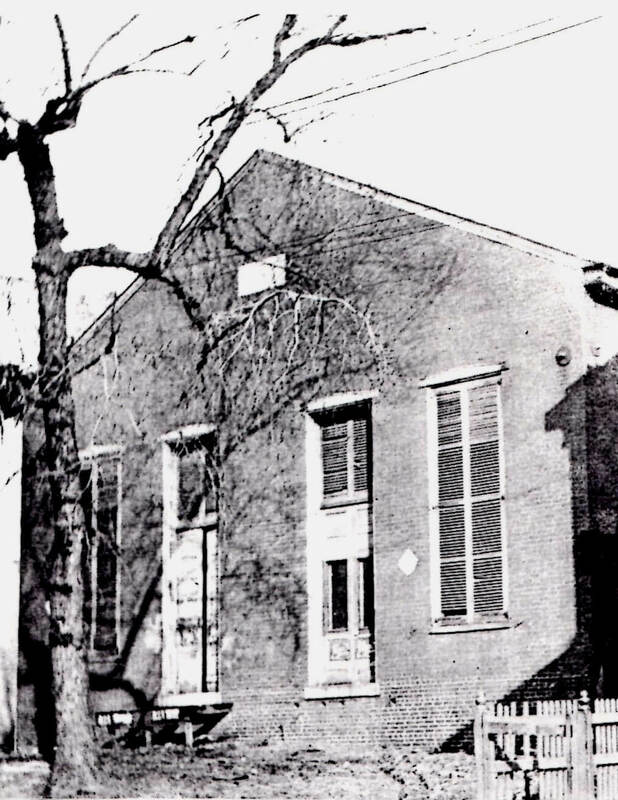 John Robinson became the minister for the 1st Unitarian Church of Richmond, January 1, 1904. Two years later on February 18, 1906, a new building had been completed and dedicated on the corner of Floyd and Harrison. A. J. Russell, an architect from Boston, had been contracted to design the new chapel. I have found a number of buildings credited to A. J. Russell in the Boston area but as of this date I have been unable to find any biographical information. Ulrich Franzen was born in Dusseldorf, Germany, January 15, 1921; emigrated to the United States in 1943 and became a naturalized American citizen in 1943. He holds a BA at Williams College, Williamstown, Mass. and a MA at Graduate School of Design; Harvard University, Cambridge, Mass. ; served in the United States Army (1942-1944). 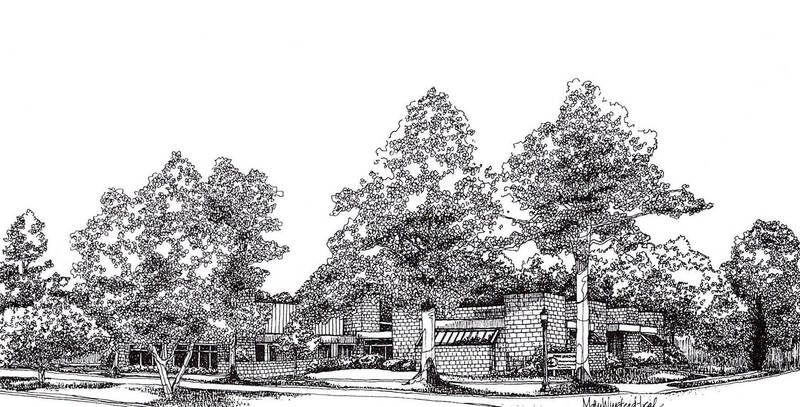 Ulrich Franzen and Associates hold a long list of credits and awards for architectural accomplishments that are too numerous to list here but I would like to draw your attention to one of his creations in 1972; The First Unitarian Church, 1000 Blanton Ave., Richmond, VA.
Our culture’s take on joy is mixed. To some it comes natural, to others joy is hard to find. Can we get better at joy? Looking upon the Church this year, what is worth celebrating? Our Annual Picnic will follow. A campaign takes many hands, many hours and lots of travel. Rev. Jeanne reflects upon the things she learned being a candidate for the UUA Presidency. Vespers is an intimate, contemplative, and conversation- a half hour service led by our ministerial interns which takes place on Wednesday evenings from 5:30 to 6:00 in the Great Hall. We welcome you and appreciate you just as you are and whenever you can join us. Vespers is followed by a simple supper (often soup, salad, and bread) from 6:00 to 6:45 and a class taught by our ministers from 6:45-8:15. Why not join us for it all? What do you have to give? Time, talents, treasures—these are what we usually talk about. And we all give in ways small and unrecognized, as well as large and acknowledged. But what does it mean to truly give? How CAN giving be a spiritual act? When we give of ourselves, do we lose something? Gain something? Is there a blessing or holiness in giving, and if so, how do we hold that close and honor it? We invite you to reflect on these kinds of questions this month as part of our congregational art project. For this month’s art project, we ask that you do the following: at the station in the entranceway, take a heart and write or draw your response to these ideas—of the risk of generosity, of vulnerability in real giving, of the spirituality of the gift. Then, as usual, place them in our basket. We will cut them out and install them as a blessing above the entrances to the Great Hall, flowing in an arc from hands on either side of the entrance. You will see some already completed examples hanging there now. Hearts flowing from hands—this is important, because our inspirational quote this month comes from the Igbo people of Nigeria. They say, “It is the heart that does the giving; the fingers only let go.” We are a people of many gifts—much time, talent, and treasure. Share what gifts you have with us this month through your art, and maybe, find inspiration to share beyond this project. For in community we find the holiness of the gift—that we can form a life and a purpose from what we give when we risk true generosity. Solidifying our foundation as we prepare for the future We hope you have had the chance to share your thoughts on our First UU Values and the activities and partnerships that reflect those values – we truly appreciate your input! Over the last month, the board has solicited input from all of the small groups in our congregation, and from individual members in our Sunday services. Please plan to join us on March 5, after our second service, for a congregational forum. You will have an opportunity to share additional input, hear our findings from the input we’ve already received, and hear about the next steps for this work. Our congregational values, along with our CHALICE covenant, and our Mission to Grow, Care, and Act, describe who we are, how we are together, and our purpose. They make up the strong foundation that our future is built on. Building on your input about our First UU Values, the Board of Trustees will be working to define our Vision for the next 3 years through a set of “Ends” goals. Ends describe the benefit, or outcome, the church wishes to achieve in the next strategic period. We’ll share the Ends that have been developed at the Annual Congregational Meeting on May 21. There’s another important way our Values support our future. As Rev. Jeanne seeks to serve our faith with her candidacy for the UUA Presidency, we may be welcoming an interim minister in August if she is elected. Our work to elicit and define our congregational values, and to set our vision for the coming years, will create a guide to help us maintain our momentum through this transition. We’ll be sharing more information about this process in the coming weeks and months leading up to General Assembly in June. I hope you’ll mark your calendars and commit to attending the key Sundays mentioned above: March 5 for our congregational forum on Values, and May 21 for our annual congregational meeting. And there’s another important request and date to remember: Our dreams and aspirations for our future and the impact we can have are made possible by the investment of time, treasure, and talent made by our members. Our Annual Pledge Drive is underway and we are Called to Act. Please consider the investment you wish to make in our future, and please join us to celebrate our future at our All-Church Celebration Social on Saturday, March, 25, 6-9pm.